Randy Newman is an American treasure. But I’m not American so that never meant anything to me. But dammit if Newman couldn’t pull on a boy’s heartstrings just as Disney was toying with Pixar and making us all believe in friendship again. Soft rock and roots rock, with a hint of blues. That’s what Randy Newman did for children’s movies. Helped introduce the young world of the time to melancholy. An artist in a particular vein of blues. Today’s album review is about another accomplished musician known for the sad stuff. Eric Clapton, is an English rock and blues guitarist, singer and songwriter. He has recorded 23 full-length studio albums, on top of his various collaborations with The Yardbirds, John Mayall & the Bluesbreakers, Cream, Blind Faith, and Derek and the Dominos. Which is pretty damn impressive for a 71 year old man. He has made it into the Rock and Roll Hall of Fame on three separate occasions (solo, Yardbirds, and Cream) and is considered to be one of the greatest guitarists of all times. And he still knows how to make a solid blues album. But the question comes down to this, does he know how to make a blues album that reaches forward and can mean something to anyone? Or is he best suited to the generation of babyboomers and other couch enthusiasts? Well it does have some great backup vocals and smooth guitar sections, and it’s bluesy as all hell. Alabama Woman Blues is a great example of this right out the gate, and a great cover to boot. Can’t Let You Do it builds upon this idea too and rather nicely. I think my favourite though is his take on Stones In My Passway, which manages to make kidney stones something to be celebrated and soulful. It felt just as weird for me to write that as it does for you to read it. I also really enjoyed the Billy Holiday cover, I’ll Be Seeing You. It is both tragic and romantic, a splash of blues on top of a sweet smoking ballad. Clapton’s strength comes from swallowing sadness and spitting out an easy chair, so it’s not really a surprise that the energy never elevates too high to make you feel any sort of anthem. But that’s exactly the problem with the record, it’s solid. Definitely not a newsworthy piece of melodica. 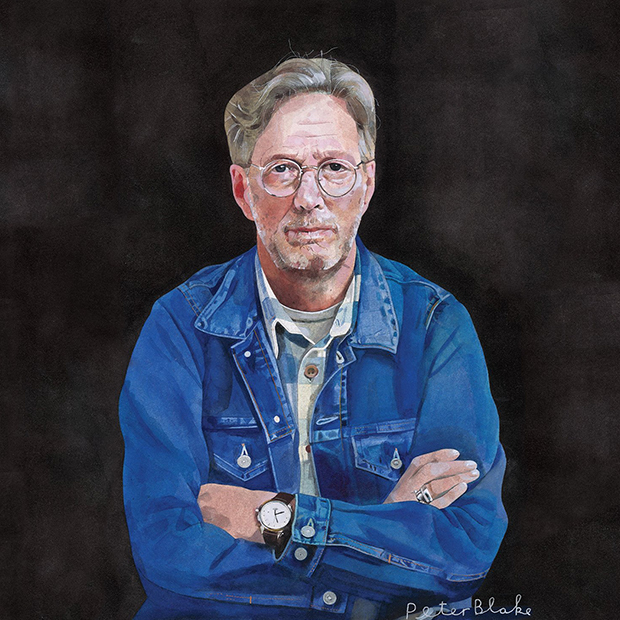 If I Still Do is Clapton’s way of playing some fun covers and throwing in a taste of some original content, then he has definitely accomplished the goal and the record can find a place on the shelf, probably next to Slowhand. But let’s be brutally honest, because Eric Clapton has been around for a while; he’s not interested in breaking new ground. And while I can listen to this album all the way through, nothing on here is particularly memorable. It’s good for a Sunday drive and a cigar but it’s missing the aviators and leather. Don’t misconstrue my words dear readers, there is room enough for all in the world of blues. But that doesn’t mean it should be all blues all the time. You’ve got to feel it in your bones for it to mean anything, and while I believe Clapton feels it, I’m not sure he wanted to deliver an intense album. So I’ll have to stick with Newman and my toys. But that’s just my theory.